The exact words the restaurant manager used were, "I'm not arguing with you." Funny, because arguing was exactly what he was doing. My wife and I were celebrating the wrap of filming for my latest training video at a nice steakhouse. Both of our first steaks were overdone and the manager had offered to prepare us new ones. Sally's steak was prepared correctly the second time, but my replacement was very rare, even though I had ordered medium rare. I sent it back to the kitchen once more, but the steak still came back rare. I wasn't going to send it back a third time. The manager checked on our table. He seemed frustrated with me that I wasn't happy and insinuated that I was being too picky. In our ensuing conversation, he revealed he had asked the kitchen to prepare my second steak rare because he didn't think I understood what medium rare really was. "I'm not arguing with you," he said, "but your first steak was medium rare." That statement cost him a customer. Taking my steak off the bill wasn't enough at this point to repair his rudeness. The worst part was our server was handling the situation just fine until the manager stepped in. The manager was setting a poor example for his staff. Leaders set the tone through their actions. In this case, the manager did several things that sent the wrong message to his staff. He undercut trust by intervening when our server was handling it fine. He displayed rudeness by jumping into our conversation without first introducing himself. He exhibited selfishness by putting my replacement steak in as rare without telling our server. I asked a community of hospitality professionals on the I'm Your Server, Not Your Servant Facebook group to weigh in on their experience working in similar situations. People generally shared that these types of experiences made them want to work someplace else. A few also suggested the drama and mistrust created by the manager was likely to continue well past our evening at the restaurant. Several also thought it might create tension between the servers and kitchen staff. All of this came from the manager's poor reaction that unnecessarily escalated what should have been a minor situation. We noticed a change in our service level after our interaction with the manager. Our server avoided our table as much as she brought us the check as soon as our meal was finished, as if she could not wait to be done with us. There was no final apology or a confirmation of any deductions from the check (my steak was removed). She didn't make an effort to resolve the situation on a high note by asking us to come back again. She simply processed our check and wordlessly dropped it back off at our table. There are many things you can do to be a positive role model. 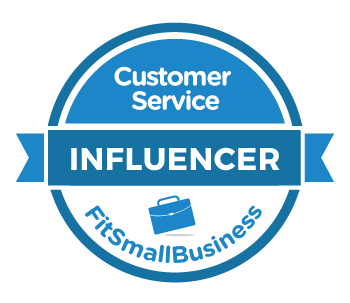 The first thing you should do is model customer service skills when interacting with both customers and employees. Treat people exactly the way you want your employees to treat customers. Your team is looking to you for guidance and your actions will speak louder than words. You'll have the same skills as your employees, so you can model them. Your presence sends the message that the training is important. You'll be better able to coach employees after the training. Finally, it's critical to support your employees. One of the worst things the restaurant manager did was undercut his server by stepping into the situation she was already handling and then blind-siding her by deliberately putting in my replacement steak at the wrong temperature. Here's how I've seen other restaurant managers handle a similar situation. They start by talking with the server off to the side to get the story and see if there's anything they need to do. Then they come to the table, introduce themselves, and confirm the server is rectifying the situation. This action supports the server while still sending a positive message to the guests that the manager is monitoring the situation and is there to help. Work on these role model actions and you'll likely see higher levels of service from your employees in response. It was a Monday afternoon, and droves of hikers were ascending San Diego's Cowles Mountain. It's one of the most popular hikes in town. You're rewarded with sweeping views of San Diego, the mountains, the ocean, and even Tijuana after a moderately steep 1.5 mile trek. One peak and another 1.25 miles from Cowles stands Pyles. That's where I sat in blissful silence, soaking in the same view. Fear was the only reason I had the entire trail to myself. It's this same fear that causes so many customer service leaders to follow the crowd. It feels safe to do what everyone else is doing. Their reward is getting stuck on average. The American Customer Satisfaction Index currently stands at 77 on a 0-100 scale. The challenge is there's nothing distinctive about average. A 77 won't set you apart from the competition. Your company won't be able to leverage the awesome power of word of mouth marketing. So why not do more? Why not truly be different? The answer is fear. In my experience, executives typically make decisions about customer service based on two big fears. The first is money. Spending money is understandably scary. It's even scarier when the return is uncertain. While there are a number of ways to calculate the financial impact of customer service, it can be difficult. Which leads to the second fear, doing something stupid. Executives repeatedly turn to benchmarks for help making uncertain decisions. The rationale is it's harder to criticize something if everyone else is doing it. The problem, of course, with following benchmarks is it inevitably leads to average. The best customer service champions take calculated risks. They aren't reckless. These leaders simply understand that rising above average means doing something different. The wisdom of the crowd will only take you so far. I heard this consistent theme when I interviewed people for The Service Culture Handbook. Rather than following the crowds, elite service leaders established a clear picture of success and continuously took calculated steps to get there. They constantly focus on culture, over a long period of time. They use data to confront tough realities, and find ways to improve. They take time to hire and train people the right way. They invest in making it easier for employees to serve. They develop empathy by taking time to talk directly to customers. I imagine none of these items seem particularly revolutionary. The tough part is making all of them part of your day as a leader. The average leader merely pays lip service to these actions. The elite leader obsesses over them. Which brings me back to my hike. To get to Pyles, you must first hike Cowles. This means your hike will take longer. Some people are content with only going as far as the rest of the crowd, just like in service. The trail to Pyles is well-marked. There's a sign at the top of Cowles. It's on the large trail map posted at the foot of the Cowles trail. People can see the trail but don't venture farther because they don't see other people doing it, just like in service. Set a course. Do something you know is right and stick to it. Here are some ideas if you aren't sure where to start. It can be scary to go it alone. It's also exhilarating. Jose came out to my house to replace a corroded section of gas pipe. Before starting the job, he placed a small fire extinguisher near the work space. Jose explained it was a new safety procedure. Technicians were required to have a fire extinguisher nearby for all gas repairs. I marveled at Jose's diligence. He had being doing this job for more than 25 years, yet he was following a new procedure even though his boss wasn't watching. Many employees, especially those with a lot of experience, find themselves cutting corners. They get set in their ways and don't like to change. It's frustrating when employees don't do what you ask them to do. You email a new procedure or share an important customer service tip in a staff meeting but employees don't do it. At least not consistently. In many cases, it comes down to how the task was communicated. Here's what can go wrong and how you can fix it. Just for fun, let's do a little communication assessment. Imagine you had to communicate a new policy or procedure to your employees. It's not overly complicated, but it's something that employees should start doing right away. Which of the following communication methods are you likely to use? Email or other written communication. Visually demonstrate the new procedure for employees. Discuss the new procedure with employees using open-ended questions. Observe employees using the new procedure to check their understanding. Verbally explain the procedure to employees. Most managers rely on written communication like email. They might throw in a dash of verbal communication, but they're unlikely to rely on other forms. Here's how Jose's manager communicated the new safety procedure. He provided everyone with a written copy of the procedure. The procedure was verbally explained in a team meeting. The explanation was aided by using a fire extinguisher as a visual reference. Employees discussed the procedure's importance. The manager verified that employees were following the procedure whenever he visited a job site. Jose's manager did two things that many leaders don't. First, he used multiple methods of communication to reinforce the message. Second, he ensured that the communication was two-way, so that employees were active participants. This may seem like a lot of extra work for the manager, but it's essential to take time to make sure employees get the message. Employees often don't do what they're told to do because their manager has miscommunicated the task. Managers should have two goals when they ask an employee to do something. First, you want to be sure your employees understand what you want them to do. That's difficult to achieve with one-way communication like email. Jose's manager used the team discussion to ensure that everyone understood the new procedure. Second, you want to gain your employees' agreement. To achieve this goal, you often need to get employees to understand why you are asking them to do something. Once again, two-way communication is far more effective than one-way communication. Jose agreed to follow the new procedure because he clearly understood why it was important. He'd been around long enough to know why it made sense to have a fire extinguisher handy when doing work on a gas line. Miscommunication is just one of many causes of poor employee performance that can easily be fixed. This quick fix checklist can help you find other root causes too. 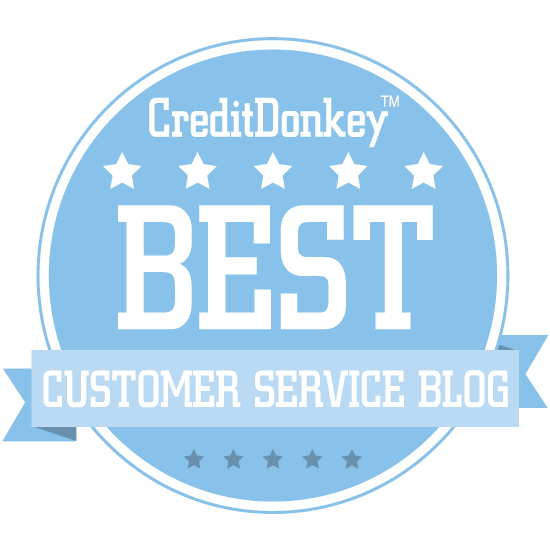 Customer service leaders often use my weekly customer service tips to reinforce good customer service skills with their teams. The tips arrive via email, but managers augment that written communication with two-way dialogue in team meetings and one-on-one discussions. You might also enjoy this short video that explains why employees might not even be aware there's a problem. The restaurant manager approached the table. "How's everything?" he asked. One of the guests told him she was disappointed her salad was soaked in heavy dressing. She didn't want it replaced because the rest of her party were already halfway through their meals. The manager brought her a free dessert as a goodwill gesture. He assumed the dessert would be a welcome surprise. He overlooked the fact that the guest had ordered a salad in an effort to eat healthy. The dessert was completely wasted. In some ways it's natural. Our brains are wired to naturally jump to conclusions. An over-eagerness to please our customers makes this even worse. And, once we land on a verdict, something called confirmation bias makes it hard to change our minds. This isn't just a problem with customers. Customer service leaders often make dangerous assumptions about their employees that turn out to be totally wrong. Here are five examples to avoid. Employees aren't mind readers. They don't know what you expect them to do unless you explain it clearly and confirm their understanding. Many leaders assume their expectations are obvious. They don't spend enough time setting expectations or establishing a customer service vision because they assume their employees already know. In some cases, leaders over-communicate. They create confusion by providing so much information that employees can't tell what's important and what's not. First, verify your employees understand your expectations. Quiz them, test them, or observe them. Just make sure they get it. Second, make sure they agree. Have them tell you what they plan to do to achieve expectations. Incentives create all sorts of problems. There's a mountain of research to back this up. Outstanding books like Drive and Predictably Irrational chronicle study after study where incentives make performance worse, not better. Yet, customer service leaders continue to assume that employees need incentives to give their best performance. This comes from a sense that employees require motivation. My own research suggests the opposite is true. Employees are naturally motivated. The real problem is demotivation. Customer service managers should focus their energy on making sure demotivation doesn't happen. This one is the opposite of #2. Not every employee is fully committed. Many customer service employees don't consider their job a career. Some people just end up in customer service. Others view their job as a convenient way to pay the bills while they go to school for something better. These folks aren't highly motivated. They won't move mountains or leap over tall buildings to make customers happy. They'll do the minimum and that's it. Customer service leaders need to be careful not to assume every employee is gung-ho about service. If you want to these people to perform, you need to make it easy for them to deliver outstanding customer service. We all have our pet peeves. My pet peeve is that training is the solution to every performance problem. Managers often assume that's all that's needed. They think that training will someone "fix" employees who aren't providing great service. I really wish that were true. I love training. I've been doing it for more than twenty years. Heck, I even volunteer to train in my spare time. Sadly, training can only fix a small percentage of employee performance challenges. My own estimates show that training is only responsible for one percent of customer service. What should you do instead of training? Check out my next level service action plan to get step-by-step instructions. No complaints doesn't equal no problems. Many customer service leaders are surprised when a talented employee suddenly leaves the organization. They had assumed the employee was happy because he or she had never complained. Some companies do exit interviews to find out what went wrong. These only help prevent the same thing from happening in the future. A better approach is to conduct stay interviews. Sit down with your best employees and find out what's keeping them. Take time to learn about their goals and ambitions. You might be able to use that information to help them stay. Are There More Assumptions to Avoid? These are just five common examples. What others would you add to the list?